In a second session, I had a client, 6 year old male, complete the house-tree-sun-moon-water activity. He was mostly interested in completing the animal--a fast cheetah who was going to China. For his house, he combined the tree and the house and added action figures rather than his family. His picture also included no water, but a sky. His picture is included below. 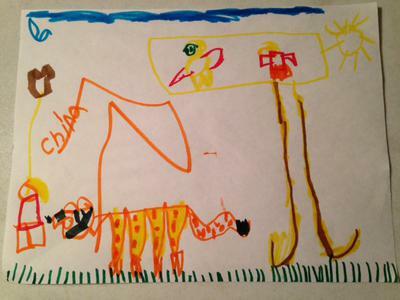 In supervision we talked about his picture being very egocentric with the animal being the most important part for the child. He has attachment issues with mom, and I guess that is why he wouldn't have any water included with his picture. In our sessions we are working toward organization within his own psyche and with his mom. Join in and write your own page! It's easy to do. How? Simply click here to return to Submit Your Creative Counseling Ideas / Lessons with Other Professionals / Publish Your Ideas Here!. Disclaimer: This website and its content is intended for trained licensed mental health professionals and school certified mental health professionals to use for their clients / students at their own discretion. *If you ignore the disclaimer above are using these techniques on yourself and you feel any discomfort or upset it is highly suggested that you seek out a licensed mental health professional immediately. "Beyond Art Therapy" is the concept from Dr. Stangline that combines all creative fields in therapy. 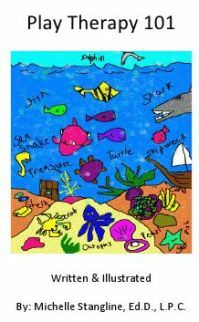 It is not the traditional "art therapy" but goes beyond to include sand tray therapy, play therapy, mindfulness, meditation, color therapy, cognitive behavioral therapy, and a vast majority of other therapies. For any other type of mental health emergency call your local 911 / Police Number immediately. Dr. Stangline does not offer advice / suggestions to anyone who is not a professional mental health provider, or a student who is studying this field and has questions about mental health programs of study. Learn how to be a more Creative Therapist with the Book that started it all! - Graduate School Counseling book used by hundreds of graduate counseling students! 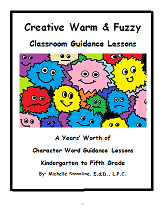 - Includes full color reproducible worksheets with most activities. 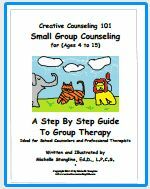 An incredible collection of how to do therapy eBooks! 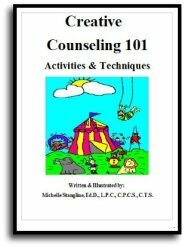 Get your complete set of the Creative Counseling 101.com eBooks by Dr. Michelle Stangline for only $98.95, that's less than $25.00 per eBook (Regular Price is $39.95 for each eBook.). 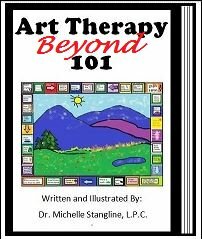 Over 300 pages of Beyond Art Therapy activities and techniques. Learn what I teach graduate counseling students! See the link below for more information. 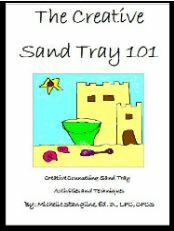 Learn how to do Sand Tray Therapy or enhance your skills. Learn how to do play therapy or enhance your skills. Learn how to do creative group therapy and enhance your skills.